It is a compilation of luscious Broadway songs with full orchestrations. From classic Broadway songs (from shows like South Pacific and Man of La Mancha) to contemporary songs (from shows like Wicked), this CD had something for every age group and is sure to get your toes a tappin’! 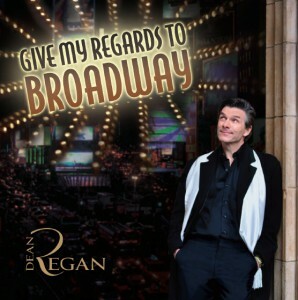 Juicy and jubilant, you can feel the joy that Dean Regan has running through and relishing his material. 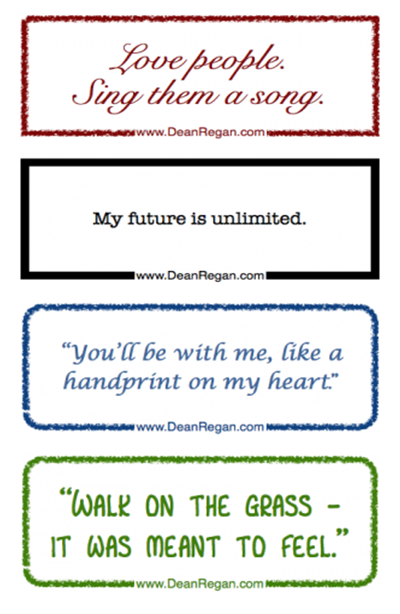 These simple tools help to trigger your best self to come alive each and every day. 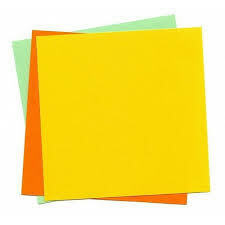 Use them creatively, emphatically, relentlessly, joyously … but use them. See your best self shine! Click on the “Designs” and “Quantity” drop-down menus to choose which magnet you’d like and how many you’d like to order. Learn About Living in Concert with Life! Download your free copy of "Melody Markings -7 Dynamic Steps to Living in Concert with Life!" When you make a concerted effort to choose only the thoughts that serve you, you are Living in Concert with Life!